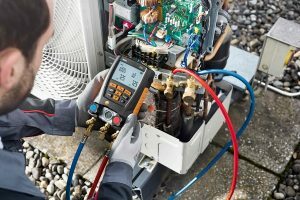 This 5 day Air Conditioning Installation Course with F Gas Category II is ideally suited to personnel with allied trade qualifications such as a NVQ Level 2 or above in Gas, Electrical or Plumbing or for those with previous air conditioning/refrigeration experience. 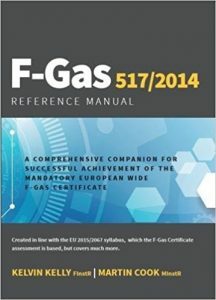 This is the most popular version of the F-Gas course for new entrants into the air conditioning and refrigeration industry with a successful pass rate of over 97%. This air conditioning course provides a good balance between theoretical and practical ‘hands-on’ training with successful candidates being certified to carry out work on air conditioning, heat pump and refrigeration systems containing less than 3.0 kg of fluorinated refrigerants. Personnel who meet the entry requirements but without previous refrigerant handling qualifications or sufficient air conditioning & refrigeration experience, are advised to attend this 5-day course prior to attempting the F-Gas Category I course. This F Gas Category II course is a Level 3 CPD qualifications designed for learners working within the Refrigeration and or related service sector. Learners wishing to undertake the F Gas Category II qualification must hold a recognised qualification in Refrigeration, Heating & Ventilation or other related industry sector (e.g. Gas, Electrical or Plumbing) or have a minimum of 2 years auditable experience working within the Refrigeration or Heating & Ventilation sector.